NAVE Voices performed at the Performing Arts Educators’ Eighth Invitational at Carnegie Hall January 18, 2014 in collaboration with the West Side Dance Center dancers. A free Preview Concert was given the day before at the First Presbyterian Church, Succasunna, NJ. Choir members also offered impromptu performances of Do Not I Love Thee at the 9/11 Memorial and again, along with Tu Pauperum, at the Church of St. Francis of Assisi. NAVE Voices concluded their New York weekend with a performance of the Ave Maria by Josquin on Sunday January 19th before Evensong at The Cathedral Church of St. John the Divine. I have been involved with music and musical performance, in various capacities, for many years, and tend to listen to any group, instrumental or vocal with a more critical ear. I listen for the technical intricacy of a piece as it is being performed. For this reason, I am truly impressed with the calibre of music performed by NAVE. I have been following their progress since their inception in 2012 and was thrilled at the opportunity to hear them in Carnegie Hall. Their artistry and technical skill is amazing and was on full display at this concert. Although their ranks may not be that of a 200-member mass choir, Dr. Sneed’s skill as a conductor brings out their best and is clearly evident in their beautiful music. Bravo, Nave! Congratulations on a job very well done. I eagerly await your next project. The NAVE concert at Carnegie Hall was such a pleasure to watch with such a delightful mix to both dance and music that you would have to had a hole where your heart is supposed to be not to have enjoyed it tremendously. Not since Bun Heads went off the air did I enjoy watching teenagers perform pieces as various as the Nutcracker and Jack the Knife. The religious pieces and spiritual pieces were so moving and the fact that the singers both clapped to the beat and sang so joyously had me tapping my feet. It reminded my of “Revelations,” a dance piece from Alvin Alley. The classical music was performed with professionalism and enthusiasm. It was thoroughly charming. I had the tremendous privilege of being able to see my nephew, John Patterson, in concert at Carnegie Hall with NAVE this past weekend. 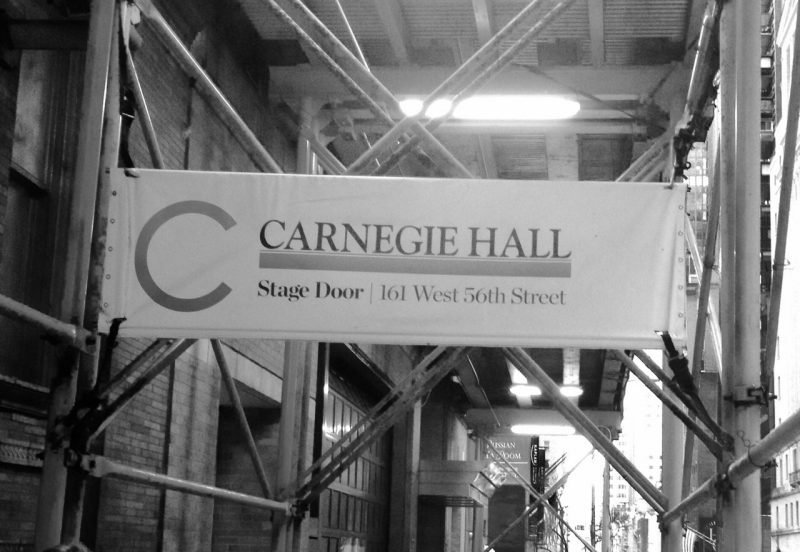 It was tremendous, not only for the fact that it was in Carnegie Hall, but also due to the tremendous variety of the show itself. I tried to describe it to my friends, and all I could really say was that it was fabulous. As a 31 year veteran junior high teacher, I think that one of the things I loved the most was that so many young performers were featured. How awesome for them! I thought that the vocal quality of all the groups was incredible, and I loved the tight harmonies and vocal blends. Another thing that I liked (and maybe this is just me since I used to sing in a madrigal group) was that it was mostly acapella. There is just something about acapella music that speaks to me. I also enjoyed the songs that featured the clapping hands used as percussive instruments. Cool! I thought the mix of dance only, singing only, and singing with dancing was done really well. It kept the pace of the concert moving. Again, I loved seeing the young dancers performing. There is just something about the teacher in me that rejoices when I see kids being able to perform and do it so well! I also thought it was very nice that there was a variety of types of music. Again, that kept the pace of the concert moving. So, NAVE, bravo, and I hope to see you in concert again!